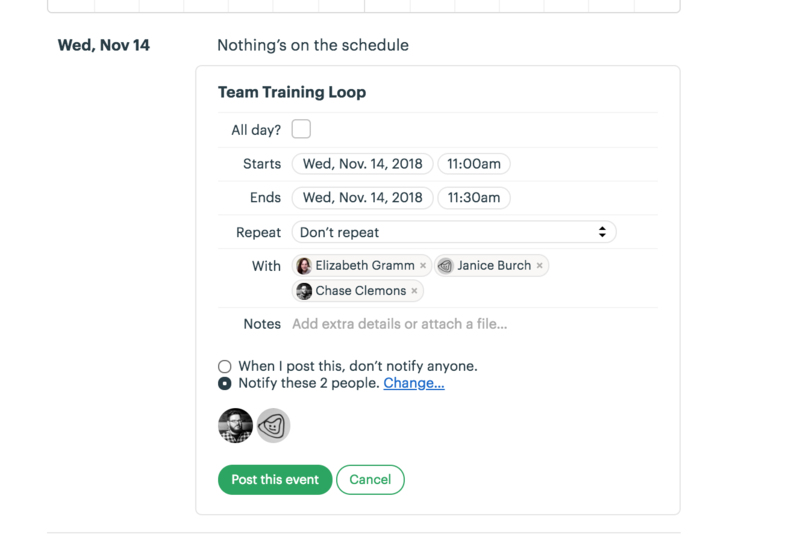 Use Basecamp 3's schedule to keep track of dated to-dos and upcoming events with your team. 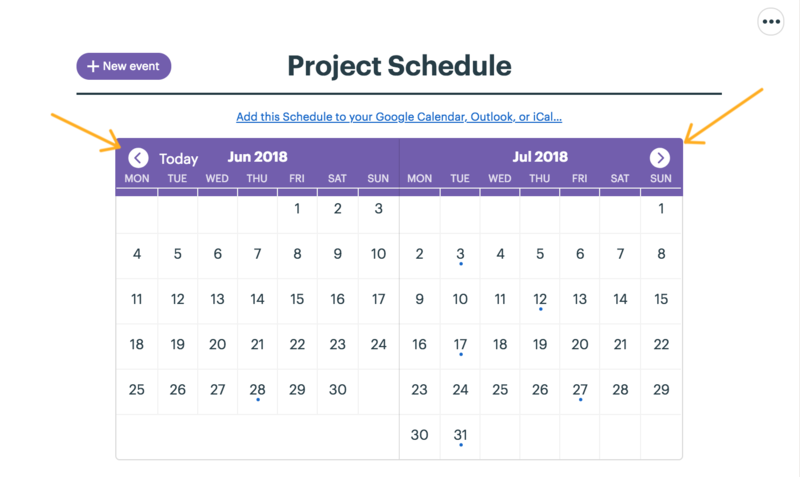 Click on the Schedule tool to get started. 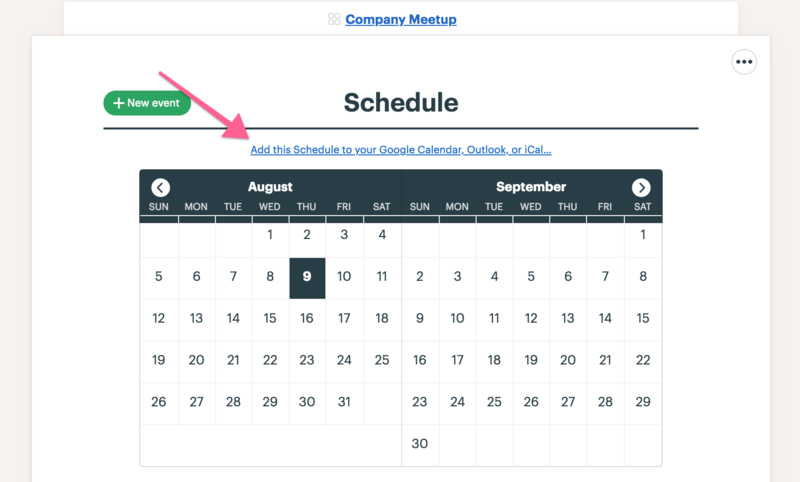 Find the date for your event on the Schedule and click +New event up top, or Add an event below the calendar grid. Enter the details about your event. 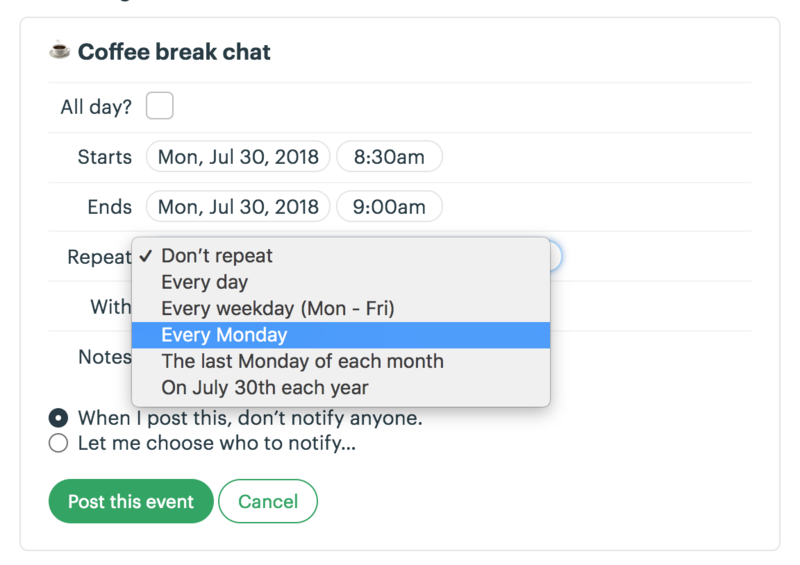 Events can be single day, multi-day, or recurring. You can have full-day events, or events with a start and end time. Select the members who are involved. Basecamp 3 can send them a notification about the event. Add a note to give your team more info. For all-day events, you'll get a reminder at 9 a.m. on the first day. For events with specific times, you'll get a notification one day before, and one hour before the start time. Select an end date, or let that event repeat into eternity! To sync your entire schedule with an external calendar program, click the link on the Schedule page. Don't need to sync the whole schedule? 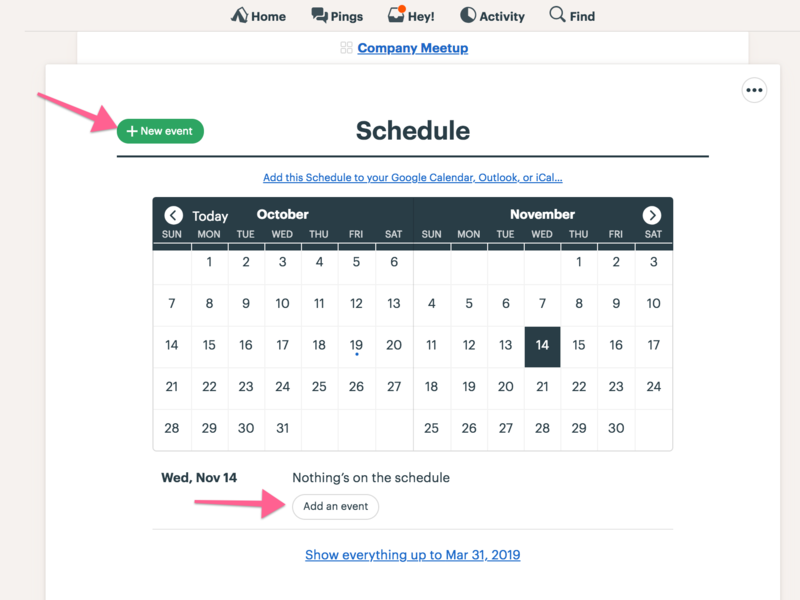 You can add a single event to your personal calendar, using the options for Google, iCal, or Outlook. Click to add the event to an Outlook, Apple, or Google calendar. Your schedule lists all your events, along with to-dos with a due date. You'll see who's involved with your events, and who is assigned to the to-do. Click the title of the event (or to-do with a due date!) to view it. Use the arrows to navigate back in time or forward to the future.